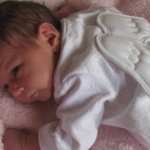 A P T Clothing - SE15 5BY A P T Clothing supply children & Babywear including toys and food. Biff - SE21 7BN Designer and street brands of clothing from toddler to teens. Daisy and Tom - SW3 5EB Daisy and Tom are no longer trading. 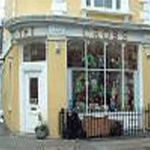 Footsies - SW7 3EY A small shop with an excellent selection of French and Italian shoes for women and children at reasonable prices. Jakss - E3 5LX Jakss clothes shop caters for babies and infants, supplying well know brandnames such as Kookai junior and Catimini. Jou Jou & Lucy - W9 1ST From birth to 8 years old. 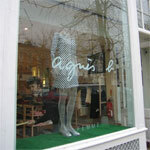 Juniper - W5 1QX Juniper is a small shop with a selection of French brands Absorba and Marèse. It also offers others collections from Italy and England. Very helpful staff. Marie-Chantal - SW3 2JJ Beautiful and tasteful clothes for children and babies. 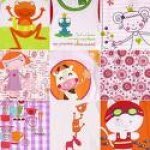 Teddies - TW11 8HG An excellent selection among the best designers of children clothes with many French labels. A bit pricy but worth a visit. Tots - W4 1RG Tots is a children's clothes boutique, stocking imaginative designs for the age groups of newly born to 8 years old.